Business leaders in virtually all industries today are looking for ways to make improvements in the way their company runs. There are many types of improvement opportunities available, including efficiency improvements, safety improvements, or improvements to virtually any other aspect of the company. With so much global competition existing today, if a company is not in a process of constant improvement, competitors will quickly overtake them. One thing that leaders have discovered is that it is nearly impossible to identify opportunities, and make improvements without getting their hands dirty, and seeing how things are actually done. Discovering how front line employees operate is the basis of the Gemba Walk. For those who haven’t heard the term Gemba before, it is a Japanese word that means “The Real Place,” and is used in this context to refer to any area of a company where the action is taking place. This could be a warehouse where products are stored and shipped, or a facility where products are made, or even a customer service area. Anywhere that action is taken and value is created in support of the business is considered Gemba. So, a Gemba walk is when business leaders leave their offices and go out to see how things are done, and ideally, find ways to make improvements. Managers can get out and observe work from the ‘front lines’ rather than simply reviewing reports or listening to observations of others from behind their desks. In Poe’s The Tell-tale Heart, gemba is that heart thumping under the floorboards. In sports, it’s wherever the ball is. In business, it’s the place where real value is created, the place where the rubber meets the road, so to speak. In other words, gemba is the beating heart of your organization. One Specific Goal – Each Gemba walk should have one specific goal in mind. For example, eliminating waste in production is one goal. If, while on the walk, other areas of improvement are identified, they can be addressed during future walks. Your full attention should be on the one goal throughout the experience. Have No Assumptions – When beginning a Gemba walk, it is important to eliminate any preconceived assumptions about what you will find. Go in as a blank slate, and seek only to find the truth in what is happening at the Gemba, no matter what that is. Document the Walk – Make sure you have everything you’ll need to keep track of what you learn while on the Gemba walk. Whether you’re using a notepad, a tablet, or a video recorder, make sure you are able to document exactly what you find so you don’t forget any important discoveries. Get to the Gemba – When planning a Gemba walk, it is important to get to every ‘action area.’ This means knowing what parts of a facility have an effect on the area you’re investigating. If you are looking to improve productivity, for example, you may need to walk through several different areas to identify every possible item that slows down the production of products. Understand Observation – One of the most important things about a Gemba walk is observing the activities that are going on. This doesn’t simply mean looking around an area, but requires intentional observation. Knowing what look for, and how to find the information required for improvement is essential prior to taking a Gemba walk. Show Respect – When walking through an area, respect the employees who are working. Let them know why you are there, and ask if they have any input. Keep in mind, however, that they are the experts in this Gemba, so make sure to show appreciation and accept what they are saying. No Snap Judgments – Don’t assume after seeing one problem that you know the root cause of the issue you’re trying to solve. While on the walk, the goal is to gather up information and learn as much as possible, not to make judgments. Look Deeper – Avoid the temptation to walk through an area with just a superficial look at what is going on. Always try to look deeper into what is happening. Look at what might be causing a particular action. Thinking about root causes rather than symptoms is essential. Be the Employee – To as great an extent as possible, try to look at the Gemba through the eyes of the employee. Find out why they do, think, say or act in certain ways. Don’t assume they think the same way as you, ask lots of questions and spend lots of time listening to their answers. Listen – One problem many leaders have is that they want to jump in and answer problems, or give retorts to criticisms. On a Gemba walk, make sure you always listen to the employees who are working in the area. Let them vent, and get everything out that they want to say. There is often very valuable information in their words. Once you’ve completed a Gemba walk, make sure to evaluate the things you’ve learned as soon as possible. This will allow you to have the experience fresh in your mind. Evaluating the information you’ve gathered is where you’ll actually be coming up with the solutions to any problems identified, or where you will find opportunities for improvements. Whenever possible, validate your conclusions with the people from which you drew them. For example, if after a Gemba walk you identified a process of getting new materials as where the production is slowing down, bring that to the people doing the work. Ask them what they think about your conclusion, and if they see that as a problem too. It could be that this is the root cause, but by validating your conclusion with those in the Gemba, you can be much more confident that your solution will bring the changes you desire. Presenting your conclusions to the employees will also help in a variety of other ways. When this is done, employees will see that action is being taken based on what you learned from them on the Gemba walk. This will help them to be open to helping with future walks as well. Another benefit is that it will prepare them for any needed changes that will be put in place. Letting them see the conclusions you made, and any possible improvements that will help ensure the changes are accepted. When performing a Gemba walk, it is important to gather as much information as possible. One key thing to keep in mind about this, however, is that you are not simply collecting data for a traditional analysis. The Gemba walk is not a time to gather data such as how many parts a particular area is producing per hour. While this data could be important, it is not necessary for Gemba walks. Instead, the leader performing the walk will want to take a more holistic look at the area. Data gathered from these walks could be something like an observation about employees reporting that a particular machine is frequently breaking down. Another example could be that a production line often runs out of a particular part and has to wait for it to arrive. While these are not the traditional forms of data most leaders rely on, they can actually be more important. This is often quite difficult for managers, because they tend to be more numbers driven. Analyzing productivity reports in a conference room, for example, might give them the information they feel they need to know what is going on in a particular area. While that type of data is absolutely valuable, it is not the entire picture. The Gemba walks can help to show another side of a situation, and open up opportunities for solutions that would not have otherwise been considered. After you’ve completed a Gemba walk, and looked at the data gathered, you’ll likely have a lot of great information to work with. Knowing what to do with that information is essential for not only improvement, but also for the success of future Gemba walks. If employees or upper management find that Gemba walks don’t actually result in any meaningful changes, they will quickly get discontinued. Once the walk is completed, and the information is gone over, take some time to make a list of action items to be implemented right away. There are two factors to consider when making the action list. First, the scope of the change that needs to be made. If the walk has identified a major problem, it is important to get it fixed as soon as possible, so this item should be placed at or near the top of the list. The second thing to consider, however, is how long a change will take to be made. There are many times when a small change can be put in place almost immediately, with little or no costs. These types of changes should be done first, because they will show that you are taking decisive action. People will see the small benefits right away, which will give them the confidence to give larger changes a chance. Keep in mind that larger changes might be found in the first few Gemba walks, but over time they will start to become rare because the major problems have been addressed. This is why giving attention to small improvements from the beginning is also very important. Management and employees will appreciate the fact that all improvement opportunities are being taken advantage of. In addition, what may seem like a small improvement on paper could be a major improvement to an individual employee. These small improvements often contribute more to the overall morale and workplace attitude than the larger ones could. Keep this in mind whenever making a list of updates to be implemented after a Gemba walk. What is Not a Gemba Walk? Learning about what a Gemba walk is, and how it should be performed is essential for any leader. It is equally important, however, to know what a Gemba walk should not be. These walks should never be a time when manager or other leaders are finding fault with individual employees. Even if problems exist in this area, the Gemba walk is not the time for addressing them. These walks will focus on a higher level than an individual employee. While individual employees can certainly cause issues, they should be dealt with by the direct supervisor, and on a case by case basis. The Gemba walk will identify issues that will be present regardless of any employee turnover or other related issues. Another thing the Gemba walk should not be is a time to solve problems and make changes. Many leaders are tempted to make changes on the fly as they see opportunities on the walk. This is a natural desire, since most leaders will want to solve problems as quickly as possible. Attempting to make changes while on the walk, or even shortly after the walk before a full evaluation can be made, will be quite distracting. Keeping the focus on the one main topic, and looking at long term solutions is much more important than potentially solving one individual problem. Learning how to effectively perform a Gemba walk takes time and effort, but once leaders have a good understanding of them, they can be performed as often as is needed. For many companies, this will be quite frequently, especially at first. Facilities that are just starting to focus on lean productivity and other improvements will want to have these walks done at least once or twice a week in different areas. This will allow innovative ideas and solutions to be found, which allows for rapid improvement. 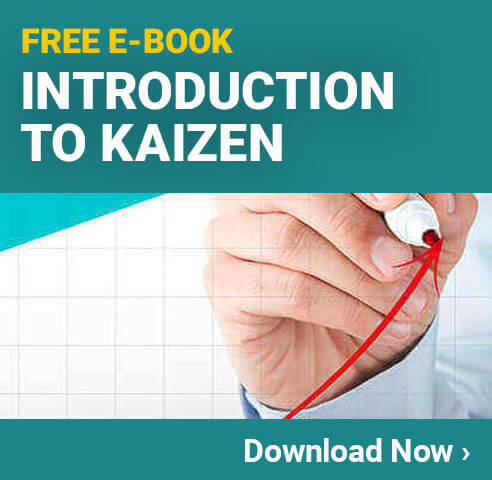 It may also help to familiarize employees with the core concepts of lean which may also assist with the process of Gemba. 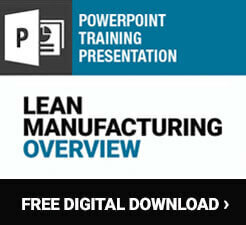 Take a look at this complete set of LEAN training videos for more information. Over time, the necessity of Gemba walks may lessen as solutions are found for most problems. Even when things seem to be running well, however, it is a good idea to have leaders perform these walks occasionally just to make sure problems aren’t starting to creep in. A monthly, or quarterly Gemba walk in each of the main areas of productivity is typically sufficient for keeping things operating properly. In addition, any time there is a major change in productivity or other obvious problem, it is a good idea to perform a Gemba walk to attempt to get to the bottom of any issues. These walks can be scheduled on an as-needed basis, which is an excellent way to maintain the benefits over long periods of time. Any organization, or individual facility, can benefit tremendously from Gemba walks. They continue to grow in popularity throughout virtually all industries, and have proven to provide a wide range of different benefits to both the company, and the employees. While they do take some initial training and work to get off the ground, they are simple to perform once the process is mastered. Offering the leaders in a facility the training necessary to properly perform these walks will help ensure they are able to get the most benefits from this helpful business practice.